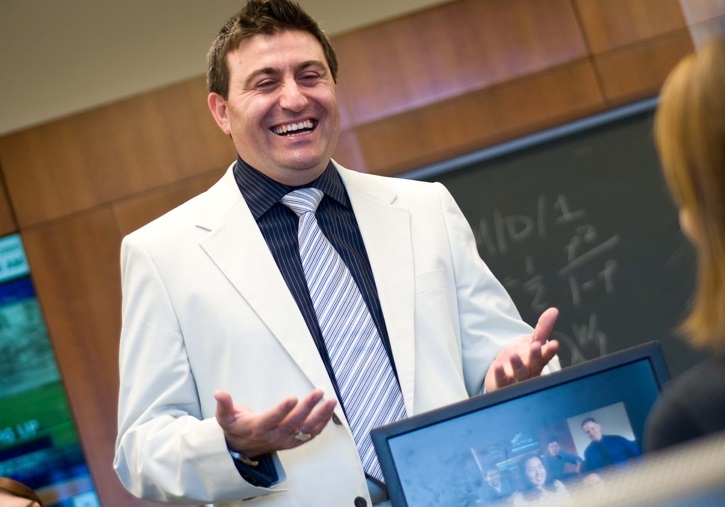 The Manufacturing and Service Operations Management (MSOM) Society announced at its annual meeting June 28 in Dallas, Texas, that Burak Kazaz, Steven Becker Professor of Supply Chain Management at the Martin J. Whitman School of Management, has been named new chair of the iFORM Special Interest Group (SIG). The iFORM SIG is one of five special interest groups within MSOM. Focusing on the interface of finance, operations and risk management, it operates under the academic community, INFORMS. As the new chair, Professor Kazaz will be responsible for organizing and hosting all the tracks for talks involving the area at INFORMS and MSOM conferences. He will also help the community in selecting the best paper awards. Kazaz has been a leader and a contributor to the iFORM field, organizing events and publishing articles. His work in global supply chain planning under exchange-rate risk is highly cited in academic publications and has found many applications in industry. He is also known as the founder of the “wine analytics” field, investigating how winemakers can reduce their risks by selling their wine in advance of bottling in the form of wine futures. His research has been beneficial for wine futures pricing decisions of winemakers and has influenced the purchasing decisions between futures and bottled wine for distributors. Professor Kazaz’s work on estimating the release price of Bordeaux wine futures using weather, market and tasting reviews has been featured by the fine wine stock market, Liv-ex.